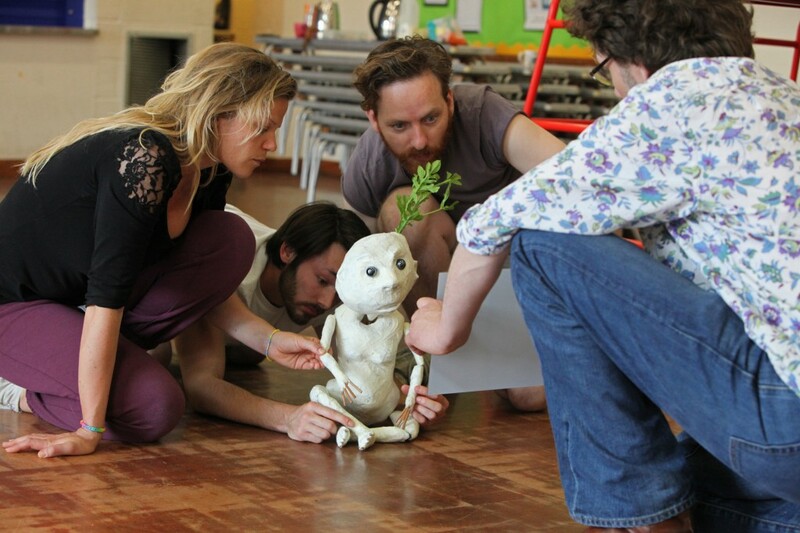 New work coming to life for outdoor antics this summer…..
Strangeface are delighted to announce that we have been chosen to work with the Transported arts programme, the Creative People and Places project in Boston and South Holland Borough, Lincolnshire. The commission will see us create a new work for performance in the last week of August across the borough – it’s outdoor art and it’s free of charge! We will be making a mask and puppet piece based on local folklore, the trickster fairy Boggart. Fen Boy is the tale of a tiny creature made from mud who is found by a farmer and bests his new master. Suitable for all, the project will travel from place to place and play on the back of a Freslinc trailer. Bring a picnic and we’ll tell you a tale, sing you a song and give you a taste of the unexpected! Previous Post“Shooting the Moon” Reviews….Next PostFen Boy is on the road….